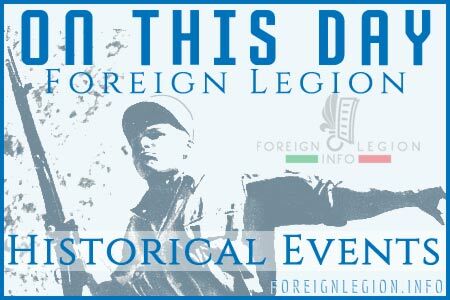 80 years ago, in August 1936, the regimental insignia was distributed to legionnaires of the 1st Foreign Cavalry Regiment (1er REC) of the French Foreign Legion. It remains the oldest distinctive unit insignia used within the Legion. The 1er REC also remains the only cavalry unit of the current Foreign Legion. 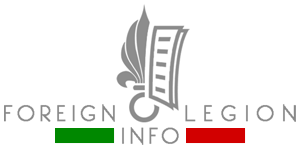 While the year of 2014 was marked by reorganization of the French Army with reducing its personnel and several unit dissolutions, including combat units within the Foreign Legion (e.g. 5th Squadron of 1er REC, 5th Company of 2e REI), the current year of 2015 is significant by reverse policy actions – increasing personnel serving in the French Army and (re-)creating the new combat units. 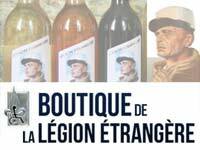 A month ago, legionnaires from the 1st Foreign Cavalry Regiment (1er REC) came to offer a helping hand to the Foreign Legion’s Disabled Veterans Institution of Puyloubier, southern France. Every year, a group of active legionnaires from one of the regiments based in France is participating on grape harvesting in vineyards belonging to the Institution.